Ian can offer the complete wedding package, with mediaeval, Tudor / renaissance and baroque music for the pre-ceremony gathering, the ceremony itself, and for the wedding breakfast. With lutes, cittern, renaissance guitar and gittern, Ian plays all the most important plucked instruments of the period. Every event is different and fees can be arranged for less or more playing time. 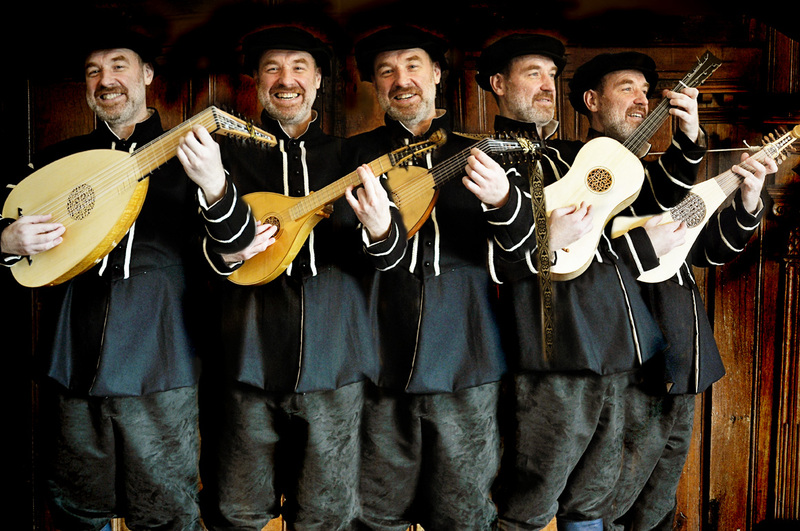 And if you’re looking for unusual wedding entertainment for all the family, Ian can also offer a staged performance for guests, including Tudor and renaissance songs. He can even teach you some renaissance dances! 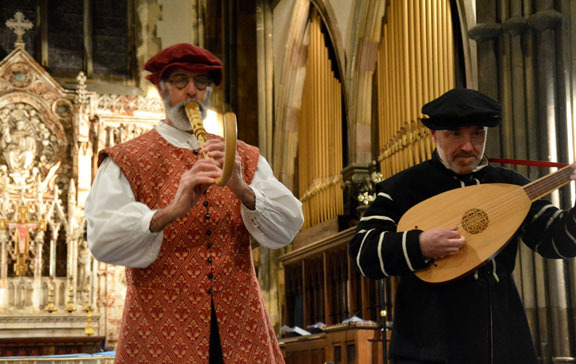 Ian also plays in early music duo, The Night Watch. To Ian’s strings, Andy Casserley adds recorders, shawms, rebec, cornamuse, bagpipes, gemshorn, and pipe and tabor. To enquire about Ian or The Night Watch playing for your wedding, corporate event or other celebration, click here. For your wedding party, corporate event or any celebration, Ian is also a member of a five piece English ceilidh band, Captain Swing, playing exciting music for dynamic dances. A ‘ceilidh’ (Gaelic, pronounced ‘kay-lee’) is a social gathering. Nowadays, the word has become synonymous with a barn dance. The band play the tunes and our caller guides you through the dances. We can provide more difficult dances for seasoned ceilidh-goers or simple dances for beginners. The dances are fun (that’s the point!) and can be enjoyed by anyone, of any age or ability. 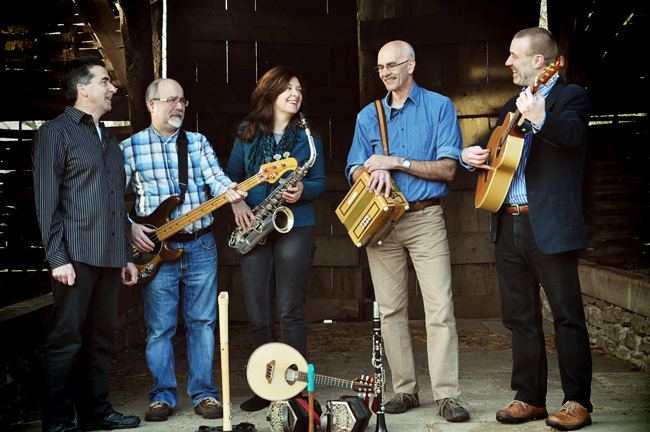 Formed in 1988, Captain Swing are Mike Griffiths (caller), Andy Casserley (melodeon, concertina, recorder, clarinet), Liz Griffiths (recorders, concertina, saxophone, percussion), John Davis (bass guitar, recorder), and Ian Pittaway (guitar, mandolin). To enquire about Captain Swing playing for your wedding, corporate event or other celebration, click here.